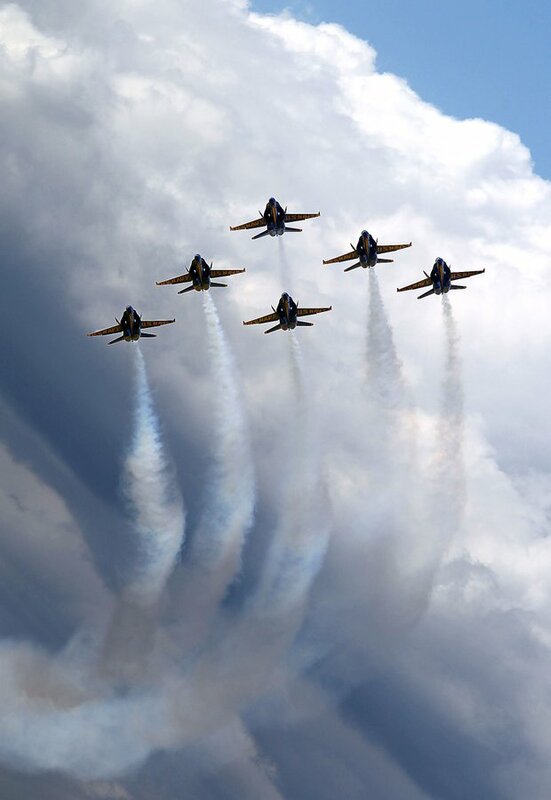 JONES BEACH, NY (WABC) -- Nothing screams Memorial Day weekend like the Blue Angels at the air show at Jones Beach. The crowd of nearly 150000 people was ... For most people, it was their first time out on the sand that was worth the money. It was also the first time in the water for some beachgoers, although they can't say they really enjoyed it, because it was too cold! he skies over the Chippewa Valley are about to get a whole lot busier. The first of the U.S. Navy's Blue Angels — the headliner of the 2010 Chippewa Valley Air Show — is set to arrive Tuesday, followed by the rest of the team the next day. The United States Air Force Thunderbirds will perform at the Southern Wisconsin. In a story you see only on 27 News, Diana Henry got a preview Friday of what those on the ground will see--- but from a different perspective, from the cockpit. 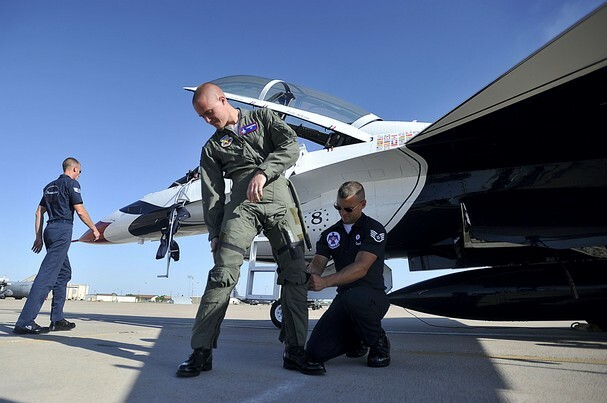 Flying in an F-16 takes a lot more than just hopping into the plane and fastening your seatbelt. Summary 19th & 20th June 2010 Cotswold Airshow Kemble 2 day show Sat & Sun Fathers Day. This year will celebrate the 70th Anniversary of the Battle of Britain. Among the display aircraft confirmed so far for this year’s event are the Red Arrows, Team Viper, the Yakovlevs display team, RAF Battle of Britain Memorial Flight and the amazing Swift Glider Aerobatic Team. A Great family Day out! The Blue Angels' practice flyover yesterday, and aerobatic performance today, may have looked effortless, but - as with a good ballet - a lot of unseen work went into making everything look so easy. Esquadrilha da Fumaca will perform on August, 25 in Atlantic City and on 28,29 in Boston. Antron Brown is accustomed to speed. The former college track star and 24-time NHRA winner has built a career around forward momentum. Whether on two or four wheels, Brown has made his name known as one of the more successful drivers in NHRA Drag Racing. Patrouille de France and Krila Oluje 2010 Schedules are ready and published on Aerobatic Display Teams website. In a city featuring scores of monuments honoring military veterans, a unique type of salute is coming to Andrews Air Force Base this weekend. All you'll have to do to see it is look up. Airmen work hand-in-hand to make Shaw air show a success from Air Combat Command Despite the hot weather, thousands of people flooded the gates here to see the mission and capabilities of today's Air Force at Shaw's biennial air show, May 8 and 9. From the U.S. Air Force Thunderbirds, to static aircraft displays and many aerial performances, ShawFest 2010 had something for everyone. With three state of the art military fighters, a civilian jet team and 90 other aircraft performances and demonstrations on the program, March Field AirFest '10 kept the Inland Empire thundering for five hours on May 1 and 2. A 75-person air show planning committee and hundreds of other Team March workers made the biannual event a success with an estimated crowd of 350,000 people traveling to the base for the show. The U.S. Air Force Thunderbirds and the Army's Golden Knights are both part of the celebration of aviation, past and present at a South Carolina Air Force base. Officials at Shaw Air Force Base say the celebration is scheduled for Saturday and Sunday. The Thunderbirds will be performing several dozen intricate flight maneuvers, formations and solo demonstrations. The team flies the F-16, which is also flown by active duty Air Force squadrons based at Shaw. 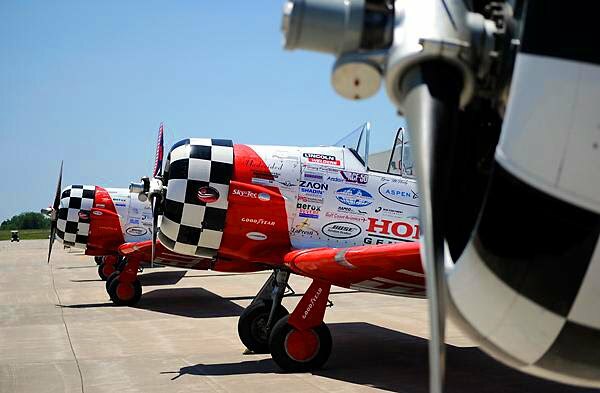 Hundreds of thousands of spectators will take in June's OC Air Show with necks craned, oohing and aahing the high-flying maneuvers of fighter jets skimming the ocean and Boardwalk. But just one person will get to ride shotgun with the Thunderbirds.